I saw the recommendations for digital printing from others. I'm looking for an control panel printout for an arcade I'm building. 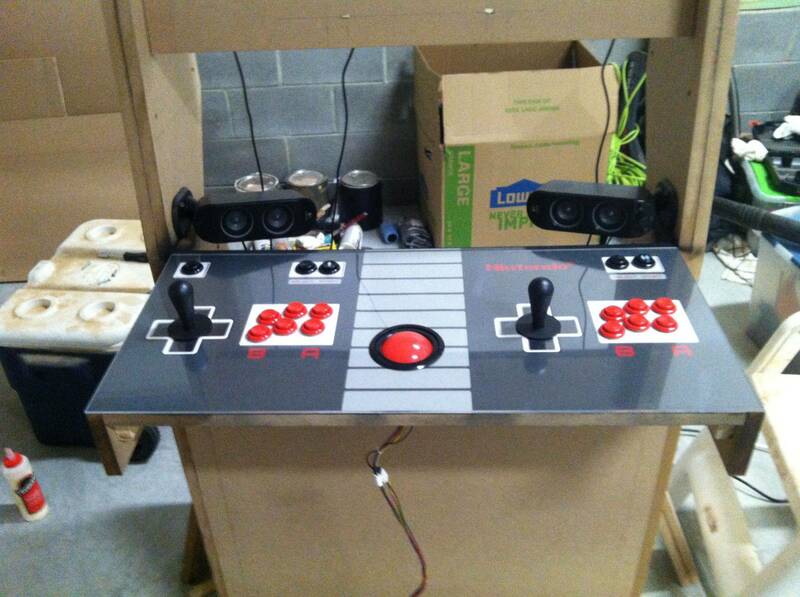 It will be about 37" x 20" Its a NES theme like below so a little simple. I's also like to get a NINTENDO decal for the marquee. What do you need from me and what is an estimated price for this? Send me an email to bjbowman045@gmail.com and we can discuss what you need. Thanks. Where are you located Brad? Just a quick update, still taking orders. Thanks for everyone who has contacted me so far. Need a quote send it to bjbowman045@gmail.com. Happy building! Just keeping the thread current. Thanks for the orders so far. Let me know if you need something. Yes still printing, let me know what you need. Still here all...send me an email bjbowman045@gmail.com if you need something. Thanks. For marquees do you do translite? Or only reverse printing? I do both reverse printing and translites. However, the Translite I use is a film that must be applied to the Plexi. If you need anything please send an email bjbowman045@gmail.com. Merry Christmas everyone and here's to 2018! Lucian was great to work with! After our email correspondence, he suggested I give me a phone call to talk through logistics of the art. His insight into the world of vinyl and arcade graphics is well worth the price. I messed up the first time with my marquee and all it took was a quick email to get a new one. He's super helpful and gives a high quality product. Thanks again! Thanks Cilrider...appreciate the feedback and post. I'm here if anyone needs anything. Email is best. You still in business? I'm looking for some possible vinyl print work. (The links at the beginning of this post do not come up successfully for me). Yes I am...shoot me an email bjbowman045@gmail.com. Still taking orders... bjbowman045@gmail.com. Thanks everyone! Promised I'd post about the graphics I got once I finished our projects and danged if I didn't take a year with all the career junk lol. Anyhoo I'm a first time cabinet dude so I hadn't really anything to go on. I wanted to build something without a stick and with kiosk style controller arms instead using 8bitdo controllers. I have some kiosk 2.0 arms I'll put on later that look a bit cleaner, and I got 1cm off on the bezel due to a fan cutting short the room my monitor had. 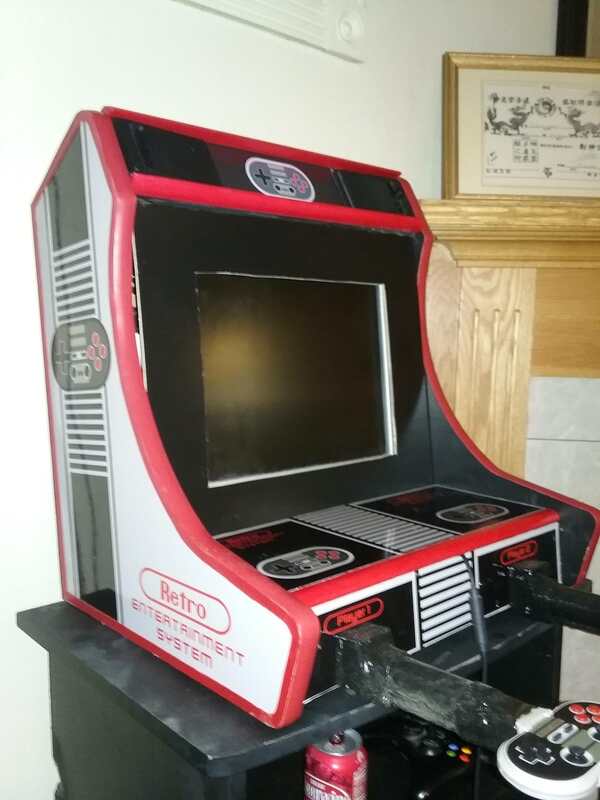 Not bad though for a first time try on a retropie bartop. I can cleanup the bezel issues and arms but I wanted to get this up here for folks to look at. As you can tell from all that shine on the cabinet these prints are super glossy and nice. And no their is no graphic blurs on the prints. I have a tremor in my hand so it made the long exposure on the cab shot look slightly off. Tremor is awesome for shmups and rapid fire but not so much for camera lol. Graphics I got were super high quality durable vinyl stickers. No problem putting them on and they were completely accurate without blemish to what I sent him. Plus we also had vinyl sheets of art printed for a seperate card project. 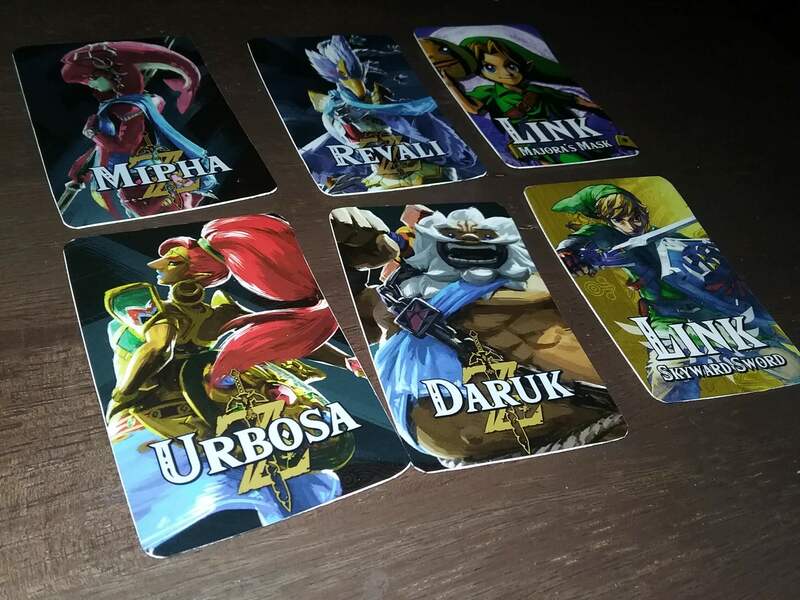 My wife programmed some NFC chips to lay on blank playing cards and we got smash bros graphics printed for each amiibo we were cloning to our NFC cards. End Result was the least space consuming amiibo ever in deck form. Hey all...still printing graphics for the community, let me know what you need. Thanks. Can you also do a something like regular paper print? Basically, something to use as a control panel drill template printout. Just a reminder, still taking orders but please email me, bjbowman045@gmail.com, PM's don't always go thru for some reason. Thanks for the orders and Merry Christmas everyone. Just updating the thread, still printing. Thanks for those who contacted me. Nice I didn't notice you were in this forum. 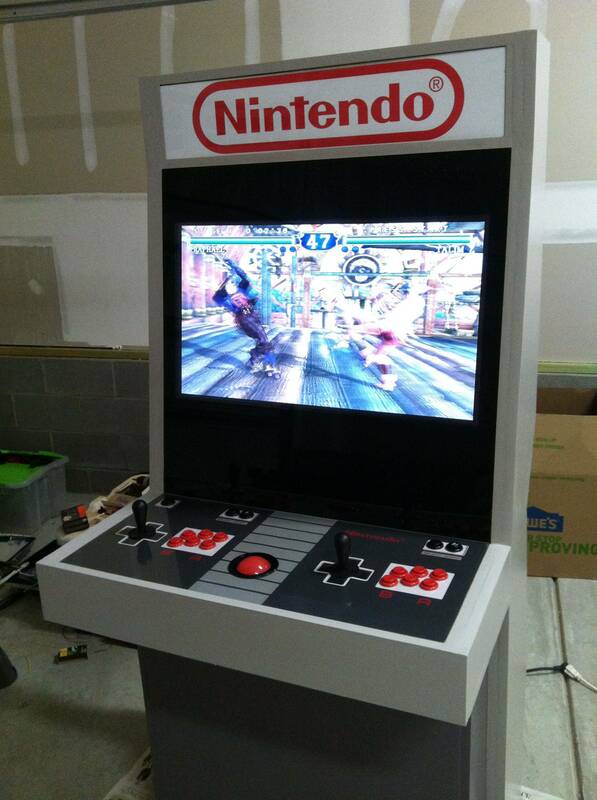 FYI BYOAC'ers this is where I've gotten my vpin and arcade cabinet graphics printed. Great to work with and nice results. Hey all, made a quick video for trimming graphics when using T-Molding and also how to remove fine scratches when the application process. Page created in 0.24 seconds with 47 queries.